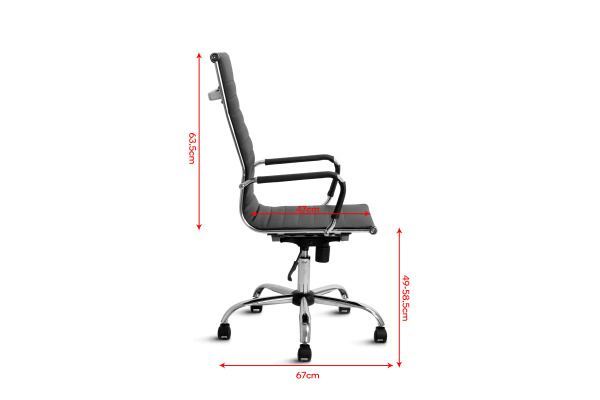 A reproduction of the classic 1950s Eames design, this elegant office chair delivers effortless style and comfort that’s sure to impress in any space. Add a touch of class to your office with the elegant simplicity of the Ergolux Eames Replica High Back Padded Office Chair. 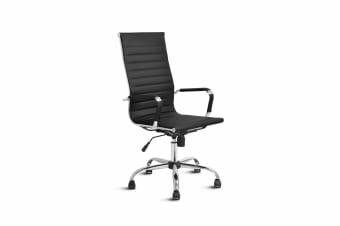 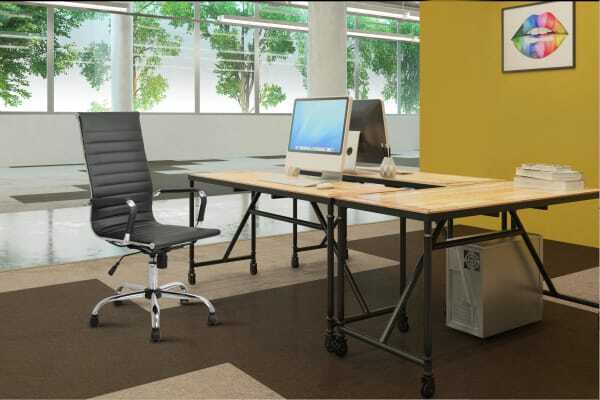 Made with an ultra luxe ribbed, leather-like material, this seat offers superior support and comfort with a high back that also adds an executive edge to your office.